Before AidSat I had no self, no soul. I was a billing address. A credit score. I had a TV, a computer, a phone, a car, an apartment, some furniture, and a health-club locker. Then AidSat hired me and gave me a life. And not just one life. Hundreds of them, thousands. Kent Selkirk is an operator at AidSat, an omni-present subscriber service ready to answer, solve, and assist with the client’s every problem. Through the AidSat network Kent has a wealth of information at his fingertips–information he can use to monitor subscribers’ vital signs, information he can use to track their locations, information he can use to insinuate himself into their very lives. 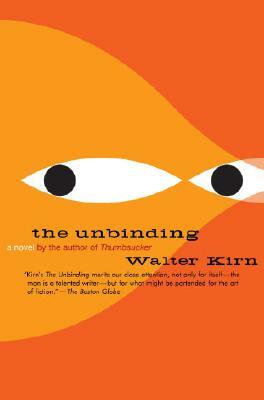 WALTER KIRN is a contributing editor to Time magazine, where he was nominated for a National Magazine Award in his first year, and a regular reviewer for the New York Times Book Review. His work has appeared in the New York Times Magazine, the New York Times Book Review, GQ, Vogue, New York and Esquire. He is the author of four previous works of fiction: My Hard Bargain: Stories, She Needed Me, Thumbsucker, and Up in the Air. He lives in Livingston, Montana.